Community transport providers in New South Wales will now be accredited under the same standards as public buses after reforms passed this month. Minister for Transport Gladys Berejiklian says the move means community transport is finally getting the recognition it deserves. "Under reforms passed in NSW Parliament this month, for the first time community transport will be recognised in the State’s Passenger Transport Act," she says. "The reforms also mean community transport providers will now be accredited and meet the same safety standards as public bus operators, providing greater protection for vulnerable members of our community who rely on these services every day. "Without community transport, many people would struggle to do what many of us take for granted, like going to the shops, getting to an appointment or to social outings with friends and family." 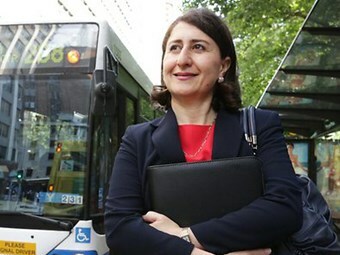 Berejiklian says as demand for community transport increases, the NSW Government was committed to working closely with the Community Transport Organisation to provide support and keep up with demand. "With an ageing population in NSW, the demand for affordable and reliable access to medical appointments, social services and recreation activities will continue to increase," she says. "I look forward to working hand in hand with community transport providers to meet the challenges of the future, including providing financial support for smaller operators to assist them with the accreditation process." Berejiklian says community transport makes a huge contribution in the state, employing more than 1,200 people and providing almost two million trips to customers last year alone.